Our client is a senior citizen who ran into a little income tax issue with the IRS and Wisconsin State Department of Revenue. Faith Firm got the IRS to back off for a while by getting the IRS to declare her “Currently Uncollectible.” This gave her much needed peace of mind. Then we took the client’s outstanding state and federal tax liability and eliminated it using an overlooked tax elimination strategy. After the tax problems were cleared up, we helped this kind woman boost her credit score. Our client is now able to enjoy her grandchildren and keep her home, her personal property and her sanity! She is blessed, and we have been blessed to represent this nice lady. Another happy result for a Faith Firm client. This particular client is a husband wife in the HVAC business. As so often happens when cash flow is tight, they stopped paying their payroll taxes. And as so often happens, an IRS Revenue Officer showed up making demands and threatening to shut down the business. This can rattle even the calmest among us. So these nice folks turned to Faith Firm for help. We immediately sprang into action. The Revenue Officer was forced to cease and desist, and the case was transferred to a due process appeal, where another IRS department reviewed the matter. Our clients were permitted to continue running their business. We also set up an affordable payment plan to allow these folks to get caught up on their tax over time without suffocating penalties. Now these folks have peace of mind and they are no longer living in fear. They are thrilled, and we are thrilled for them! Faith firm is a tax law firm helping many small and medium sized businesses in Wisconsin, Illinois and the entire United States. Please call Faith Firm at 414 559 2971 and let’s see what we can do for you! Over $302,450 dollars in state and federal income tax eliminated! Gone! 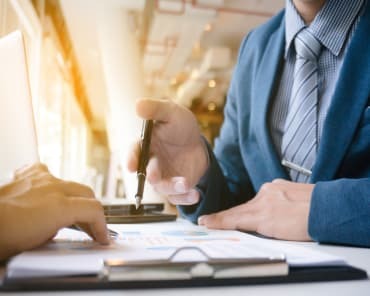 However, in the initial meeting our client expressed disbelief when we informed him – and his accountant – that there was a reasonable opportunity to wipe out most of his tax liability. After all, this man had previously paid two high priced law firms, and both firms never informed him about the solution we presented to him. How did these “other guys” miss that? Simply put, not all tax professionals are the same. Less than 6 months after Faith Firm started work on this particular client’s case, and using an overlooked federal law, we received confirmation that our client’s tax bill would be reduced by $302,500. Our client is now a believer in Faith Firm! We would be thrilled to make you a believer, too! Call Attorney Michael Mack at 414 559 2971 and learn for which tax solutions you may qualify. Our client is a former Marine, and a tough man. He doesn’t cry very often. And yet when he received the good news that the IRS released a bank levy and agreed to return $15,000, this devoted father and husband became a little emotional. Our client was deep in debt to the IRS, and so he retained Faith Firm to stop an existing IRS bank levy and negotiate collection alternatives with the IRS. About $22,000 was frozen in the bank account the day the levy hit. Yet three days after we got involved, we were successful in negotiating a release of all but $7,000 of the levy. That’s a 69% savings! You see, even the toughest and most disciplined among us can run into tax problems, and it’s devastating emotionally as well as financially. Faith Firm resolves tough tax problems so our clients can get on with their lives. Call Attorney Michael Mack at 414 559 2971. Another IRS relief success story! A week before Thanksgiving, the IRS wiped out our clients’ entire checking account! There were outstanding checks to vendors and creditors that were going to bounce. The husband and wife owners called Michael Mack for help, and he went to work immediately. Within days these folks were holding a Release of Levy from the IRS, and waving it around in excitement! And the icing on the cake was the IRS agreed to return most of the funds in exchange for a payment plan. Their auto repair company stayed in business, and with the help of Faith Firm, nursed their financial condition back to health. These hard working folks were especially thankful that Thanksgiving. Another positive result for a client of Faith Firm. Our client had not filed tax returns since the year 2000. Finally, the IRS caught wind of this and started garnishing our client’s bank account. Our client thought the case was a lost cause because most of the expense and income documents were long gone. Faith Firm applied two separate legal tax principles to get the client back on track. First, we applied a little know IRS public policy so that only the last six years’ tax returns were filed. The IRS accepted this approach. Second, using the “substantial compliance” principal, we prepared and filed returns even though we did not have all of the income and expense documentation. In fact, the IRS even issued a partial refund. This is what Faith Firm does: it solves tax problems using innovative, clever legal solutions other “tax resolution” companies don’t understand. If you want a smart, experienced tax lawyer on your side, give us a call. We’ll show you why we’re different from the other guys. Our client’s financial condition was on life support before he called Faith Firm. He owed overwhelming back income taxes to the tune of $158,570, and he had no steady income. He could not file bankruptcy because it would jeopardize his professional license. And he was broke, with no money to settle with the IRS. We deployed an alternative tax solution that is almost unheard of and yet legal and highly effective. Faith Firm negotiated a $25 dollars (twenty five dollars) a month installment plan, also known as “partial pay.” The IRS agreed to leave our client alone in exchange for minimum payments. The net effect of this agreement was that our client would never repay the IRS, and the tax liability would be written off in 5 years and 8 months. Before our client came to us, he believed his tax case was hopeless. However, if history has taught Faith Firm anything, it’s that there is no such thing as a hopeless tax case. After an IRS Revenue Officer intercepted payments earmarked for a corporation in which our client was a shareholder, we were able to win the release of those payments. Faith Firm successfully argued that the seizure violated IRS collection procedures because the corporate entity is separate from the individual. This is a critically important legal distinction that the IRS may fail to recognize. This case offers a valuable lesson that the IRS screws up all the time. That fact is, they frequently fail to adhere to their own collection procedures. So it’s wise to get a lawyer on your side who can recite the Internal Revenue Manual chapter and verse. An experienced, knowledgeable, tough tax lawyer may be your best line of defense from unlawful collection. If you are facing a levy or a seizure or a tax lien, you need someone who knows the tax laws and will fight the IRS tooth and nail. Our client is a lawyer, business owner, and a father of four children. When the IRS filed a tax lien against his home, it was embarrassing, and it was devastating financially. To make matters even worse, the lien showed up on his three credit reports, harming his good credit that is vital for his business to succeed. Michael Mack got to work immediately. He was able to obtain a taxpayer assistance order to get the lien withdrawn. Michael was also able delete the tax lien from all three of the client’s credit reports. Finally, an affordable payment plan was negotiated for the client. Tax problem solving is not new to us. Faith Firm knows how to solve tax lien problems and other tax problems. Little Known Tax Forgiveness Solutions Revealed! Real People are Getting REAL RESULTS! Wisconsin Offer in Compromise with IRS Individuals, families and businesses are solving their tax problems, once and for all. Business owners, retirees, teachers, real estate professionals, chiropractors, auto mechanics, construction workers, firemen, dentists, physicians, sales professionals, beauticians, police officers, engineers, architects, professors, lawyers, restaurant workers, truckers, financial advisors and others are all taking advantage of Faith Firm’s ability to get tax debt legally forgiven using a variety of tax problem solutions. This procedure, called the Offer in Compromise, is for people unable to pay the full amount of tax, penalties and interest because of financial circumstances. Faith Firm possesses in-depth knowledge of how to create an offer attractive to the IRS. 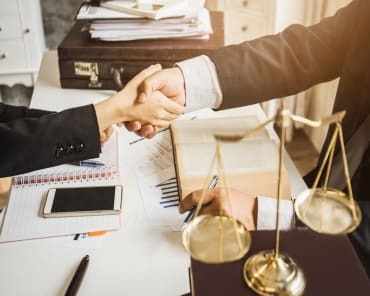 We understand how to maximize legal loopholes and little known strategies that make the difference between the IRS accepting the offer or rejecting it. And other little known “alternative” tax solutions are available too. These solutions may prove more effective for some Faith Firm clients than offers in compromise. For example, there is a federal law that may eliminate 100% of the tax liability. Many suffering citizens qualify for this life changing program without even knowing it. In addition, there are penalty abatement procedures that can slash tax liability by over half. There is a hardship program too. And the almost unheard of IRS “partial pay” plan may eliminate more tax liability in less time than an offer in compromise. Michael Mack Rescues Wisconsin IT Professional From Tax Scammer And IRS... $97,780.84 In Tax Debt Wiped Out! According to an IRS assessment, IT professional Jon Hale owed the government a truck load of tax. Jon googled "tax resolution" companies and found a company out of Costa Mesa California (and now out of business). These clowns made big promises claiming they could settle Jon's tax for pennies on the dollar. Jon had no idea these guys were making up testimonials and results, so Jon forked over $6500 of his hard earned money. Nothing was done. Zilch. Situation Worse! After these guys folded their business - web site disappeared, phone lines disconnected - the IRS came knocking on Jon's door demanding that he pay $97,780.84. The IRS was threatening to levy Jon's bank account and make his life miserable. Michael Mack was immediately able to "call off the dogs" and stop any levy. And using an often overlooked Federal law, the IRS agreed to clear its books of the entire $98,780.84. All of the tax liability was eliminated. Our clients, a couple from Schaumburg, Illinois, had massive IRS and State income tax obligations. Faith Law Firm used a variety of tax solutions to eliminate the tax debt. And then we showed our clients how to boost their credit scores fast. After all, one of the biggest challenges facing our clients is what to do after the tax problems and debt problems are eliminated. Yet the good news is that if you use a proven step-by-step system, you will restore your credit after bankruptcy or after your tax problems are eliminated. Faith Law Firm provides a "Total Tax Recovery" program so our clients can recover quickly. This couple is living proof that Total Tax Recovery works! Faith Law Firm is in it for the long haul with their clients. It's not a "one shot" deal. Let us show you how we take care of our clients.